Tonight ruled. Thanks to everyone who came out to Peel Sessions tonight and thanks to Jose Martinez for coming by. Jose’s got some nice stuff coming later tonight. I’ll post them once he ups them to Flickr. 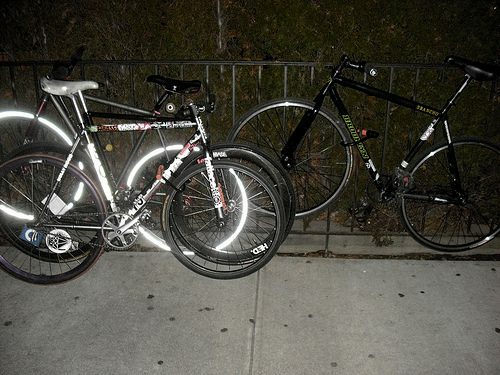 Till then, here’s some fixed mountain bikes and a track bike. Nate’s still a hater.